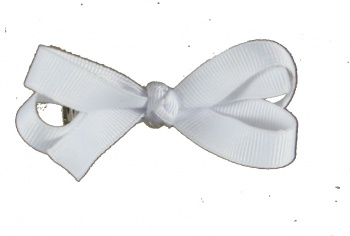 Pretty cute will your baby be in this sweet white baby bow! This white grosgrain ribbon in 3/8 inch wide and styled into a traditional 2 loop, 2 tail bow with a French knot center. Attached to a lined alligator clip and ready to go.